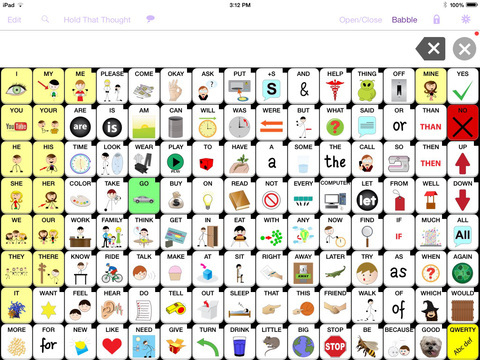 Speak for Yourself has the capability to begin with one word, but contains almost 11,000 Smarty Symbols® and allows the user the potential to access almost 14,000 words, with no more than two touches to say a word. 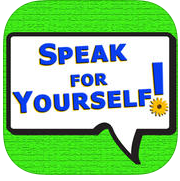 Speak for Yourself is an application designed by two speech language pathologists specializing in Augmentative and Alternative Communication (AAC) with an evidence-based foundation. 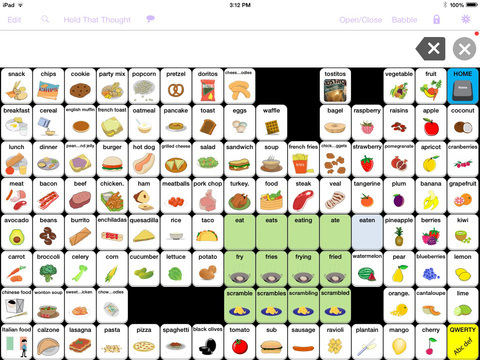 This application is consistent with motor learning principles, uses a word-based vocabulary of the most frequently used words in communication, and contains features important in developing automaticity and language. Individuals learn to use their communication device with the same principles they use to play an instrument or type on a keyboard. 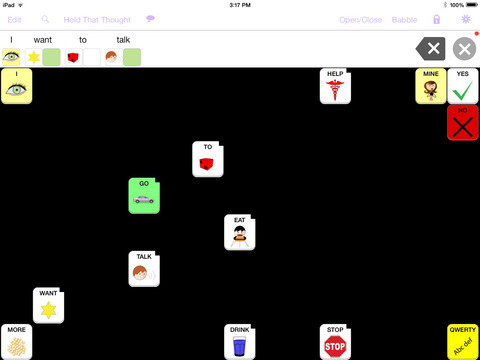 Speak for Yourself has the capability to begin with one word, but contains almost 11,000 Smarty Symbols® and allows the user the potential to access almost 14,000 words, with no more than two touches to say a word. Complex page navigation and scanning are eliminated to allow fast, consistent access to language! Powered by CereProc’s speech system to give our voices character, emotion, and personality.